VivieMarie has started a donation pool! we currently live in California together.I don't do character art like my other friends,just logos and basic design. aaaa thank you so much for the watch! I really appreciate your support. I hope you like my gallery and my coding. Hi vivien! 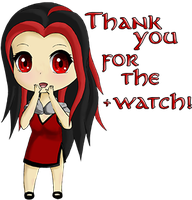 TYSM for thw watch ^^ Have a nice day!! Thank you so, so much for the watch! !